You can find it fun and exciting decorating with Dora the Explorer accessories! It is important to understand that creating this type of bedroom may prove to be quite an expense. You should always make sure that you budget what you spend so that you do not exceed your means. The first areas that you will want to start with are the walls. You may want to paint the walls a color that is associated with Dora the Explorer. A light purple, a hazy yellow, or another color is appropriate when it comes to Dora the Explorer bedroom themes. 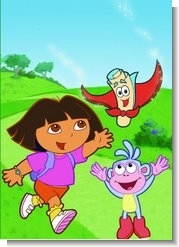 There are many different types of wall decals available that display Dora, Boots, and other items from the cartoon. You may choose from butterflies, trees, flowers, clouds, mountains, rainbows, and other wall stickers as well. When used with wall stickers that display Dora the Explorer and her little monkey friend, Boots, they will make a wonderfully exciting collaboration! 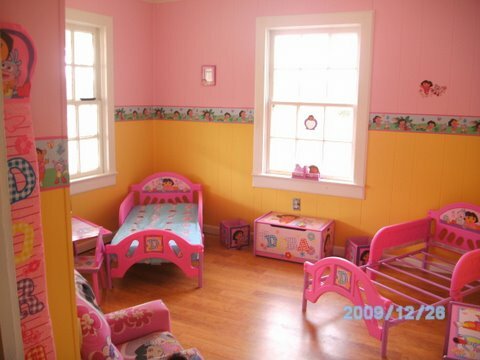 Once the walls are all decorated, you will want to consider integrating Dora the Explorer furniture. You should start with the bed. If you have a toddler, there are many Dora bedroom kits that include a toddler bed, bedding, a dresser or table and chairs, and even toy bins! If your little girl is no longer a toddler, you may purchase Dora bedding. You can find sheets, blankets, comforters, and even pillows in just about every store that specializes in selling accessories for beds! When choosing Dora the Explorer furniture, you may also want to consider purchasing lamps that have Dora on them, end tables, and even functional decorative items like a Dora the Explorer rocking chair! There are many different types of Dora the Explorer accessories that will liven up any girl's bedroom. You may choose from decorative lights, plush dolls, posters, wallpaper border, and more! If your little girl enjoys watching television in their room, you could purchase a lounge mat. There are decorative pillows that may be used to enhance the overall theme of the room. You may even choose to add a body pillow with a Dora the Explorer theme! The Dora the Explorer rug is also considered to be a wonderful accessory when creating this theme! If you want to save a little money, you can go to your local Dollar Store and purchase picture frames, and then print out pictures of Dora, Boots, and Diego and hang them around the bedroom! There are many creative ways to create a Dora the Explorer Room Decor. With a little cash and a little creativity, the means of doing so are numerous!